So, before I start getting angry emails, I realize that some folks might think I am an “expert,” so I am saying you should not trust me. Well, I am not a whiskey expert, only an avid drinker and blogger. Also, you should not trust me just because I have a blog, similar to the way you should not trust Jim Murray just because he writes a Whisky Bible. Take all us whiskey yappers with a grain of salt, and trust your own palate. In Jim Murray’s 2013 edition of his Whisky Bible, he said he thought the 2012 Thomas H. Handy Sazerac Rye was the best whiskey in the world for the previous year. His runner-up vote went to William Larue Weller, a barrel-strength wheated bourbon also from the Buffalo Trace Antique Collection. This is the first year that I have actually gotten a bottle of Jim Murray’s Whisky of the Year, so I was pretty excited. I got to try three different whiskeys from Buffalo Trace’s Antique Collection, which was also exciting for me. For me, out of the 2012 editions of the Sazerac 18, the Thomas H. Handy Sazerac, and the William Larue Weller, my favorite was the Saz 18. Both the Weller and the Handy were both very good, but I thought the Sazerac 18 was the deepest and most complete whiskey. It leapt out of the glass, and different layers to its spices and sweetness. In addition, there are Scotches that I can think of that I thought could have won out over the Sazerac 18. I have not tried all the whiskeys that Jim Murray has, but I do think there were finer whiskeys released in 2012 than the Thomas H. Handy Sazerac. My point in writing this article is not to call out Jim Murray for being wrong about the best whiskey in the world. Jim Murray has his own palate, just as I have mine, and you have yours. Therefore, if Mr. Murray thought the best whiskey in 2012 was the Thomas. H. Handy, then he is well right in his own mind with his own senses. I disagree with him on this point, just I some of y’all have disagreed with me about my favorite whiskeys. Be careful not to take blogs and whiskey reviews as the all-knowing authority on whiskey. My point is that we shouldn’t all go out and buy a bottle of something just because you hear one person (even an “expert”) tell you it’s the best whiskey in the world (if ten experts say so, it might be worth the investment). Taste the whiskey for yourself, and see what you like. There are no right or wrong answers in tasting whiskey, just how much we love the various whiskeys we have the privilege to encounter. Few things permit the indulgence of subjectivity like whiskey, so appease your own palate and let it ride! Happy New Year! To kick of the New Year, I am starting a new section on the blog called (What’s In) Phil’s Cabinet. People ask me all the time what I am drinking at present, what they might expect if they came by for dinner and a dram. So, on the first of every month, I will update what is in my whisk(e)y cabinet, both opened and unopened bottles. This is also an opportunity for you to put in requests as to what you would like to see me review in the future, whether it is Scotch, Irish, Bourbon, Rye, Welsh, Indian, Japanese, or other type of whisk(e)y. So, leave me a comment, or drop me a line on Facebook or Twitter. Angel’s Envy (unopened) – This is a bourbon that some folks have asked about, and I should have a review of it up by the end of spring. It is a bourbon finished in port wine casks, and I am very excited to try it. Evan Williams Single Barrel 2002 Vintage – This is a wonderful everyday bourbon, and I looking forward to grabbing a bottle of the 2003 Vintage that just hit shelves a few weeks ago. Maker’s 46 – This is very good bourbon, with a very nice, deep sweetness that unfolds beautifully. 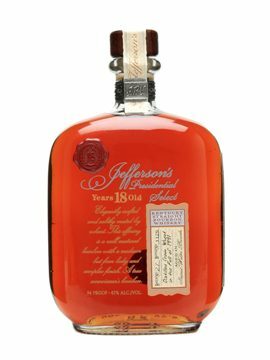 If it were a few bucks cheaper, it would contend for one of my favorite value bourbons. Wild Turkey Rare Breed (unopened) – Another whiskey that has been requested a lot, this is a barrel-strength offering from Wild Turkey. I am excited to try it, review it, and here what y’all have to say about it. William Larue Weller (fall 2012 bottling) (unopened) – This is a barrel strength, limited-release wheated bourbon from Buffalo Trace that my father found as a Christmas present. Not necessarily a value bourbon, but it is one of the most anticipated bourbon releases every year. Jim Beam Yellow Label – A solid every day pour that makes a very nice cocktail, too. 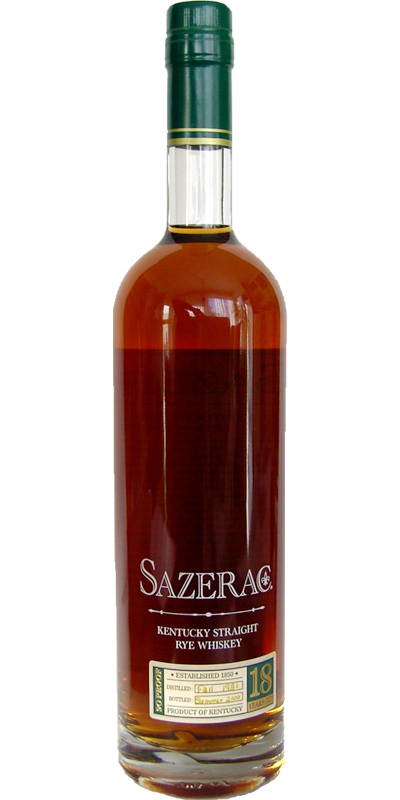 Sazerac 18 yr. (fall 2012 bottling) – This is my favorite whiskey currently in my cabinet. I love this one. Not necessarily an ideal price point, but you get your money’s worth for $70. Thomas H. Handy Sazerac (fall 2012 bottling) (unopened) – This is the younger, brash brother to the Sazerac 18. Jim Murray rated this bottling as his Whisky of the Year in the 2013 Whisky Bible (William Larue Weller was his runner-up). Willett Single Barrel Estate Reserve 4 yr. (unopened) – This is an LDI rye, bottled at cask strength. My affinity for Bulliet 95 is what made me seek this one out. Ardbeg 10 yr. – This is one of my favorite Islay Scotches from one of my favorite Scotch distilleries. As far as Scotches go, it is a pretty good value, and I’ll probably put up a review here in the next few weeks. The Black Grouse – A nice, peaty blended whisky that works well for an everyday Scotch. Highland Park 12 yr. – Another beautiful Single Malt Scotch from Scottish islands. I should have my review of this one up soon. Those are the whiskeys in my cabinet at present. What’s in your cabinet? What whiskeys do you want to see reviewed on the blog? What whiskeys are you hoping to try in 2013? Once again, Happy New Year and let it ride!